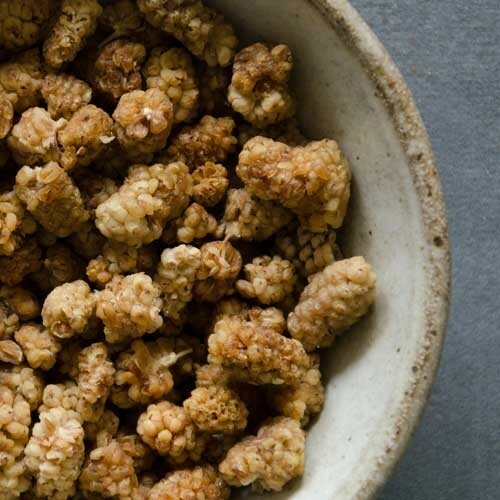 Our delicately sweet White Mulberries are grown in Turkey where tradtional harvest methods are used. The fruits are shaken down off the tree and then laid out to dry in the sun. 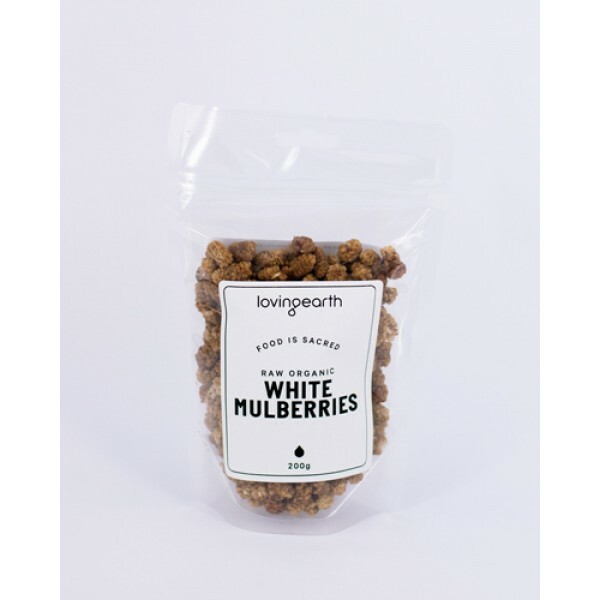 Loving Earth’s raw organic White Mulberries are grown in Turkey, where traditional harvest methods are used. 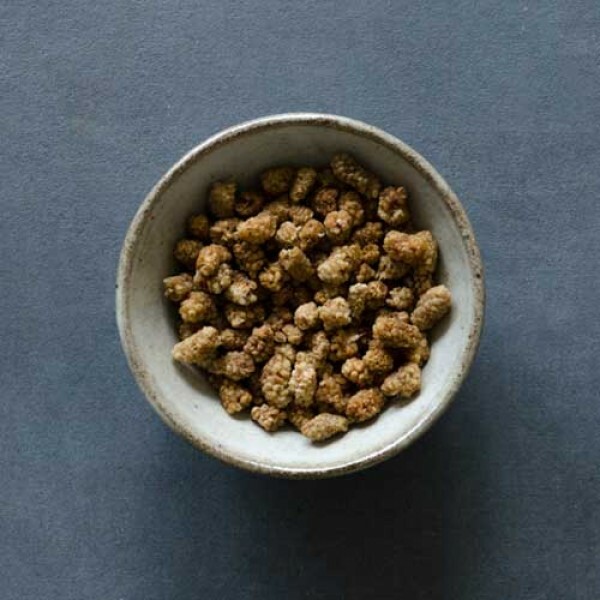 The fruit is shaken down off the tree and then laid out to dry in the sun to encapsulate all the natural sugars. Eat alone as a healthy snack, add to trail mixes or have with your morning cereal. 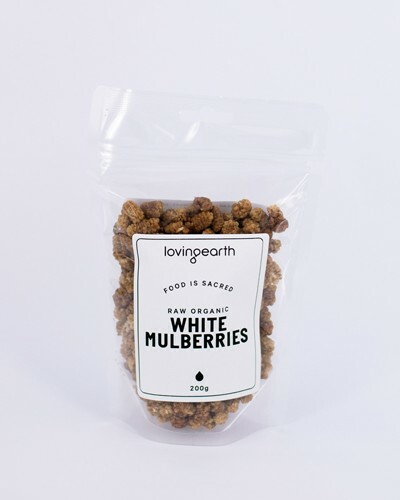 White Mulberries may help to “tonify” the blood and are a good source of protein, iron, calcium, vitamin K, C, A, B6 and E, fiber, potassium, niacin, riboflavin, folic acid, manganese, magnesium and antioxidants. 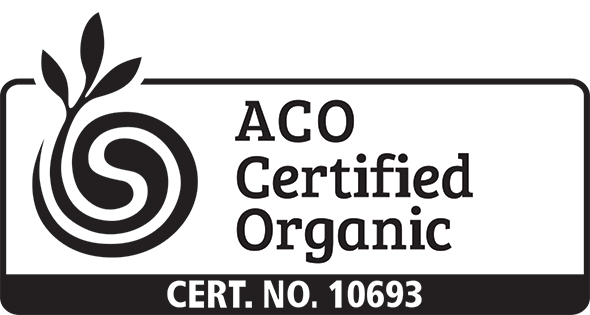 Packed in a plastic stand up bag, please dispose of thoughtfully.